25 players and staff of the Los Angeles Dodgers were sent home with the flu on Thursday as the Dodgers start their third week of Spring Training. The country's worst flu season in decades has bitten the Los Angeles Dodgers. The flu reached the National League pennant winning Dodgers this week when 25 players were sent home from Camelback Ranch on Wednesday with flulike symptoms. Manager Dave Roberts told reporters before the team's preseason game against the San Diego Padres that the team sent 25 different players home with what seems to be a flu virus that has made its way through the clubhouse. "I haven't seen anything like this," Roberts said. According to Roberts, the players each had symptoms of fatigue, chills, fever, and other flu-like symptoms. The medical staff said that the symptoms should subside within the next few days. The clubhouse, which is usually busy and bustling with 55 players during camp, was mostly empty on Wednesday with some players walking around in surgical masks. 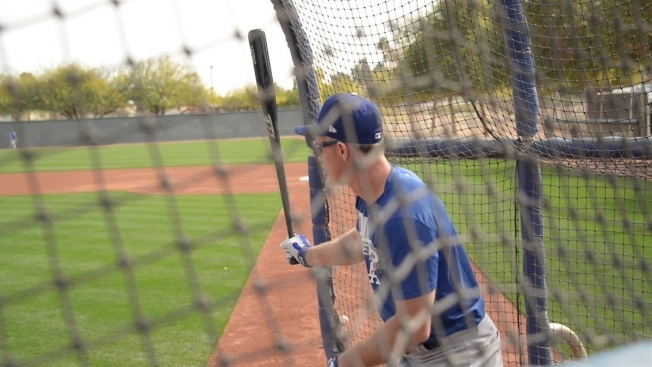 Pitcher Brock Stewart and outfielder Matt Kemp were two of those players walking around Camelback Ranch in masks, hoping they would not catch what was ailing their teammates. The Dodgers brought in air filtration systems, and disinfected the clubhouse and the weight room on Wednesday. Strength and conditioning coach Brandon McDaniel even passed out immune boosting vitamins. On Saturday, Corey Seager was scratched from his start with flulike symptoms, but was able to start the following day against his brother, Kyle, in a matchup with the Seattle Mariners. It is unknown if it was the same flu, or was unrelated. Among the sick players are Hyun-Jin Ryu, Yasiel Puig, Cody Bellinger, Austin Barnes, Logan Forsythe, Enrique Hernandez, Kyle Farmer, Trayce Thompson, Josh Fields, as well as several members of the coaching and training staff. The Dodgers current bout with the flu, comes at a time when America is battling one of the worst flu seasons in a decade said the Centers for Disease Control and Prevention. At least 63 children have died from the flu and hospitalizations are at the highest rate since 2009.